I would like to wish a very happy new Islamic year 1433 Hijrah to all our brothers and sisters around the world. May we strive this year the attain Allah swt nearness, pleasures, forgiveness and mercy and may Allah bless us with happiness, good luck, good health and bliss for the upcoming year. Hari ni tak de mood nak cakap banyak2, so kita straight to the recipe, okay? 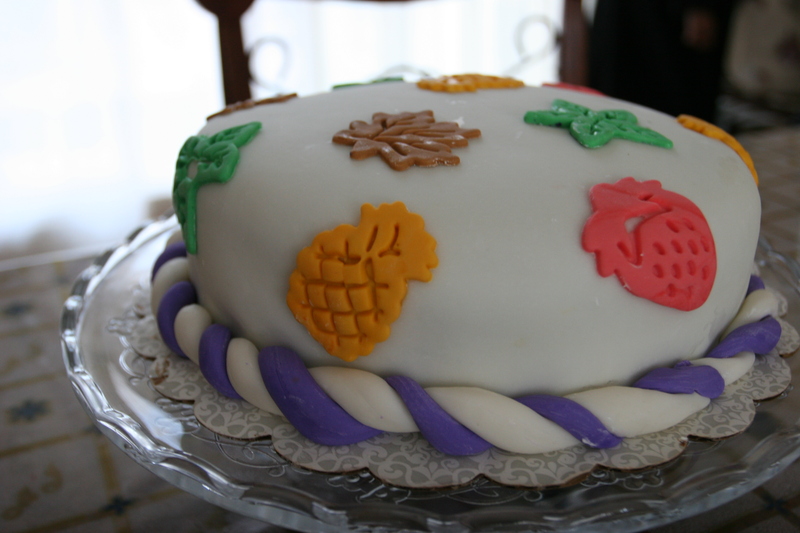 This cake I baked last Thursday and the recipe is taken from Martha Stewart website. 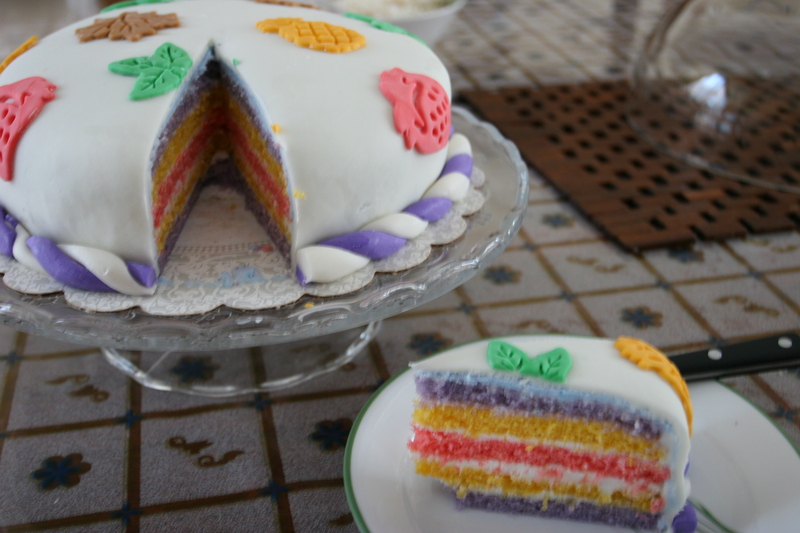 If you look at the website, the cake is quite tall i.e 6 thick layers, so I decided to only use 1/2 of the ingredients. Preheat oven to 175C. Brush six 9-inch-round cake pans (or as many 9-inch cake pans as you have, reusing them as necessary) with shortening. Line bottom of each cake pan with parchment paper; brush again and set aside. 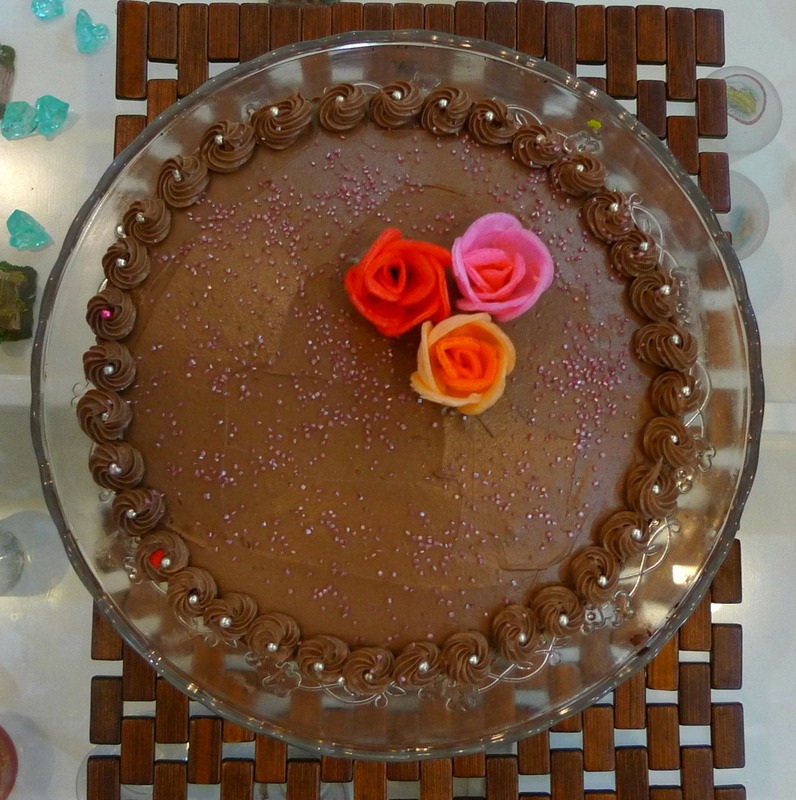 Decorate with your favourite frosting. Last night my hubby went for team building exercise organized by his department. 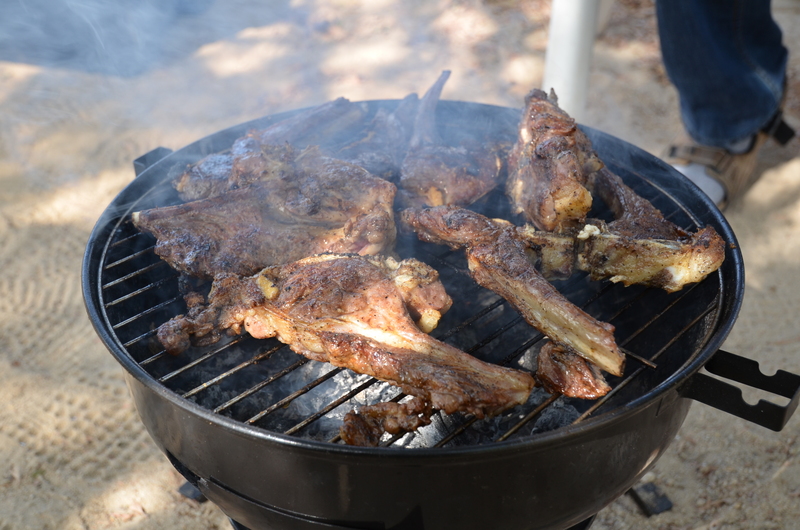 Guess where they went for the team building….Chef Boutique Kuwait…. jealous! Last night course was Thai, he learned how to cook Thai Red Chicken curry, Tom Yum Goong and Glass Noodles Salad. He did bring back some for me to taste and as much as I hate to admit it, it tasted very nice. I’ll definitely gonna sign up for the class but which class to join????? Hmmm… maybe I’ll join Italian or Mexican class…. Japanese pun best jugak he he he. 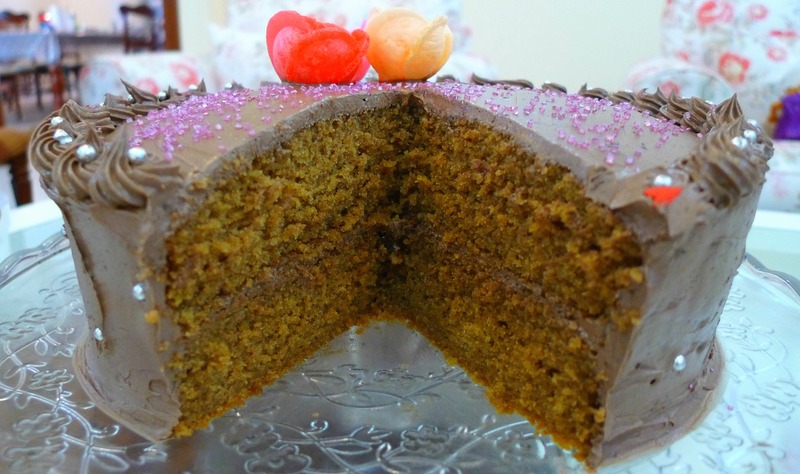 Orait… back to this cappuccino cake… yummy! 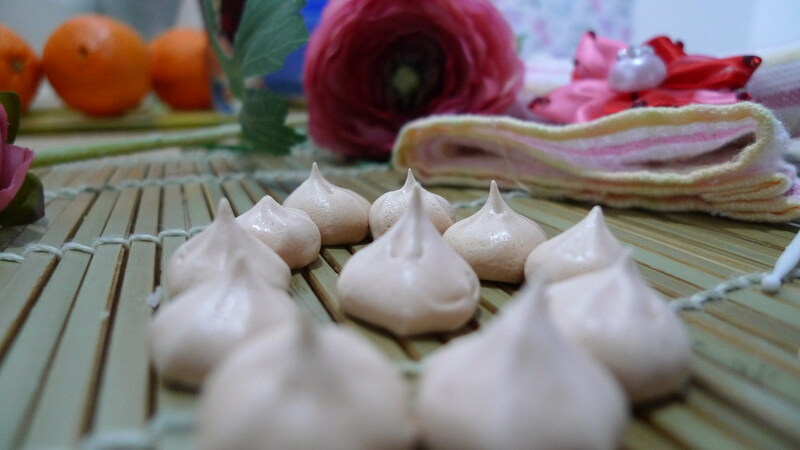 A friend gave this recipe to me and the original recipe is from the Bbc Good Food website and the frosting is taken from Ina Garten. I did add extra ingredient i.e coffee emulco in both cake and the frosting because the person who requested this cake is a coffee maniac he he he and I’m referring to my daughter Nurin muahahaha. Heat oven to 180C. 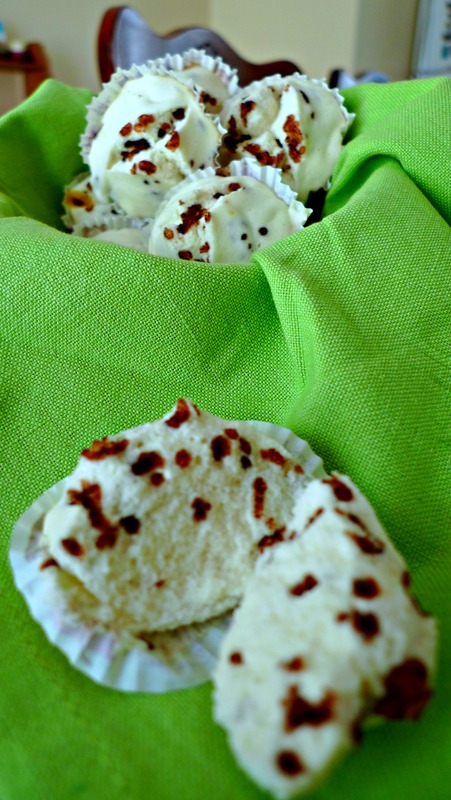 Butter 2 x 20cm sandwich tins and line the bottoms with greaseproof paper. 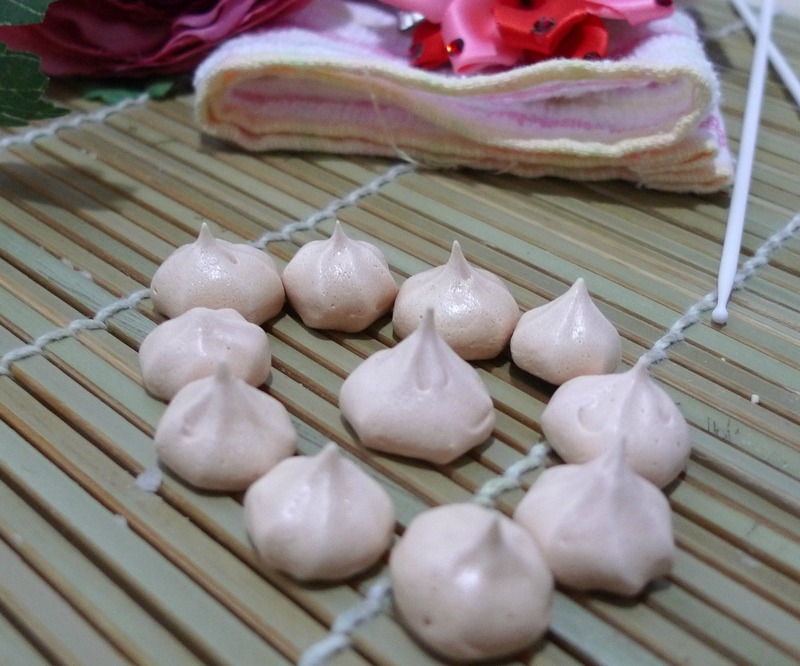 Beat butter and sugar together with electric beaters until pale and creamy. Add the flour and eggs in one go and keep beating until evenly mixed. Fold in the walnuts (if using) and the coffee and coffee emulco. Add the chocolate and coffee mixture to the butter mixture and mix until blended. Don’t whip! 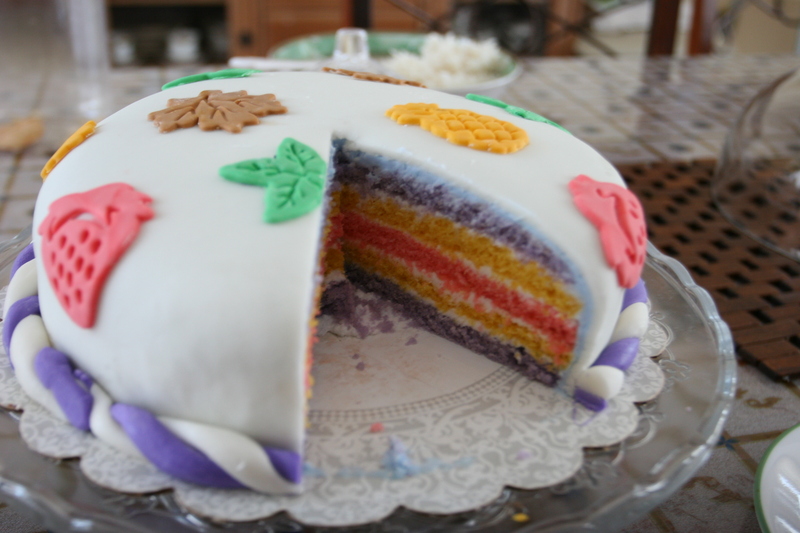 Spread immediately on the cooled cake. For the past few weeks, I has been toying with the idea of getting a part-time maid to help me around the house, may be 2 or 3 times a week. My other half had already gave a green light to proceed, so what I have to do now is find one. Do you think I’m lazy?? ?Pleeease do say I’m lazy… he he he. 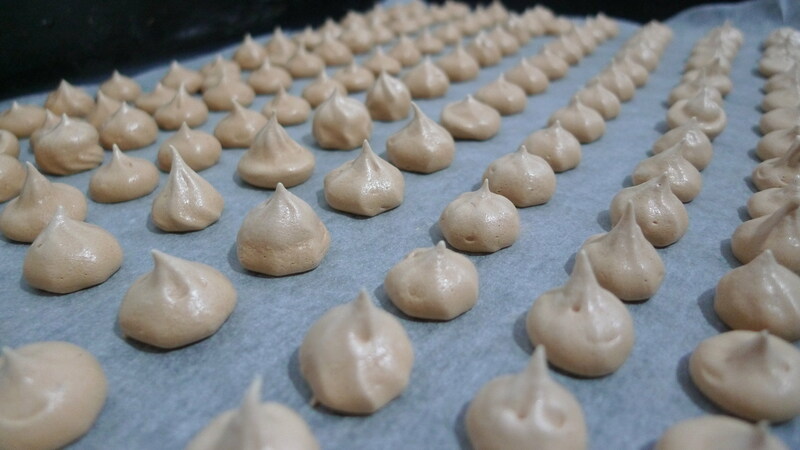 Anyway, this week I have few baking request from the kids… macaroons, meringue kisses (again!) 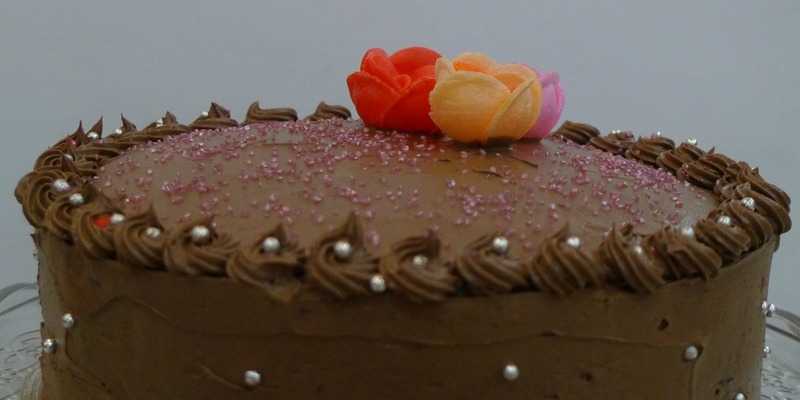 and cappuccino cake. Bila nak buat tu? To tell you the truth, this week I’m super duper lazy to do anything but will definitely fulfill at least one request insyaallah. Okay…. 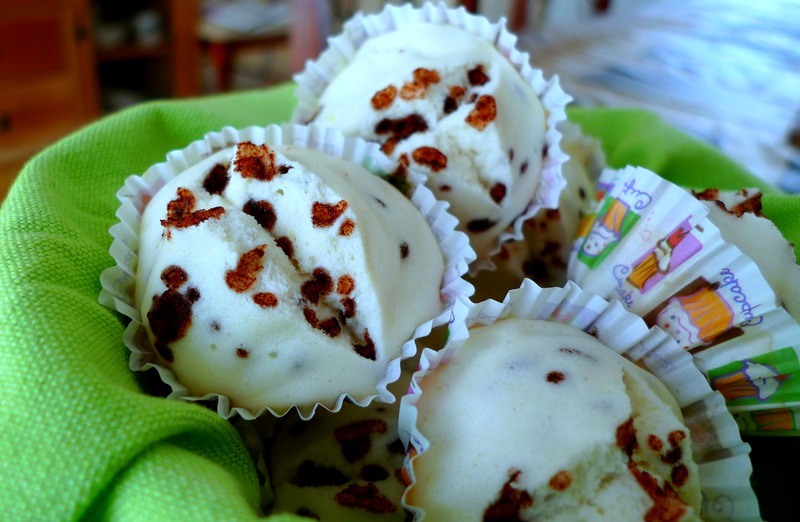 back to this balkus dalmation… I baked this bolu couple of weeks back. This bolu is super duper soft and sweet, definitely a recipe worth keeping. The only disappointment was that my bolu didn’t “mekar” enough like the one in this blog. 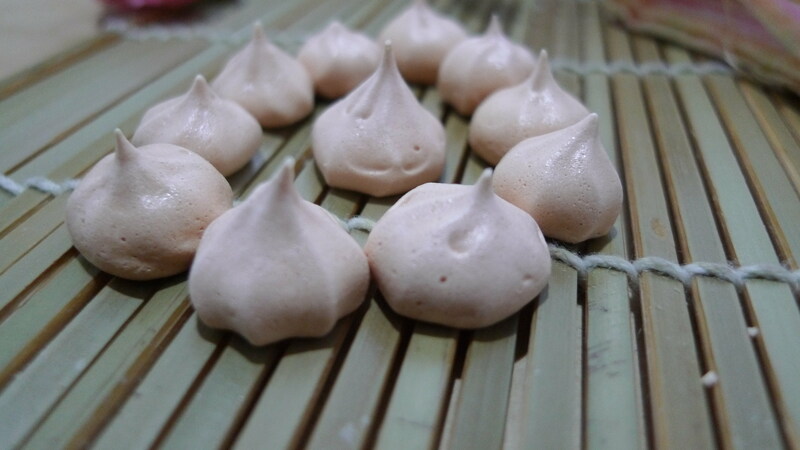 I did make sure that the steamer was on HIGH heat but still tak mekar….tips anyone? Let’s check out the ingredients…..
Sift together flour and double action baking powder and set aside. Whisk the egg whites and salt until soft peak (3 mins). Add in sugar a little at a time and add emulsifier, beat till batter fluffy and thick (7mins). Add in sifted flour and DA baking powder alternating with the sprite. Stir well. Add in chocolate rice. 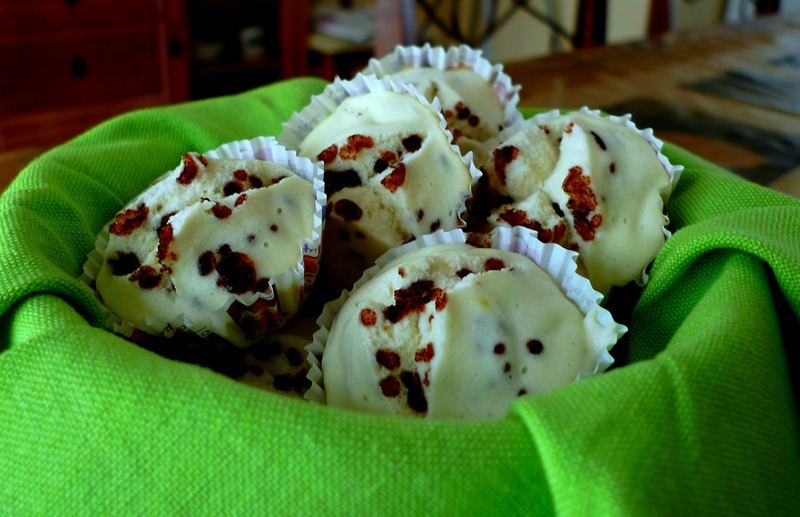 Scoop the batter into individual cup cake case and steam for 10mins. 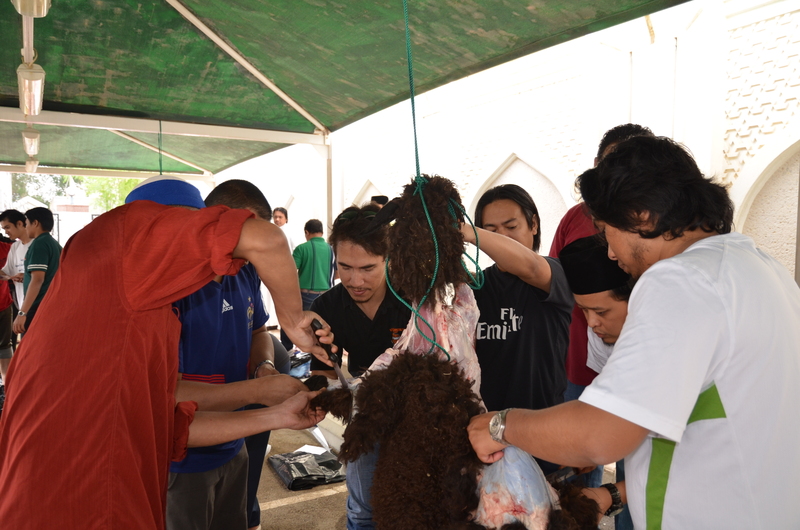 Balkus Dalmation yang tak begitu "mekar"
This year Eid Adha was celebrated on 6th November. 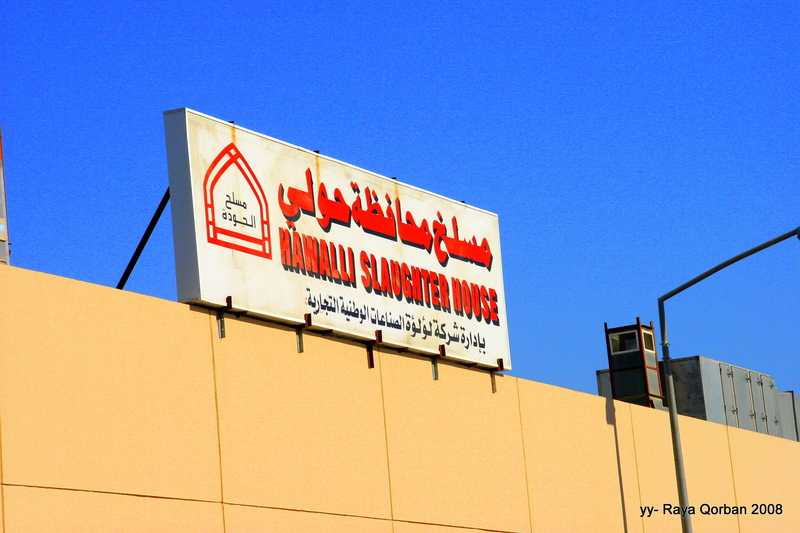 In Kuwait, qurban (animal slaughtering) can be done in the comfort of your house compound or you can choose to do it at the animal slaughter house. 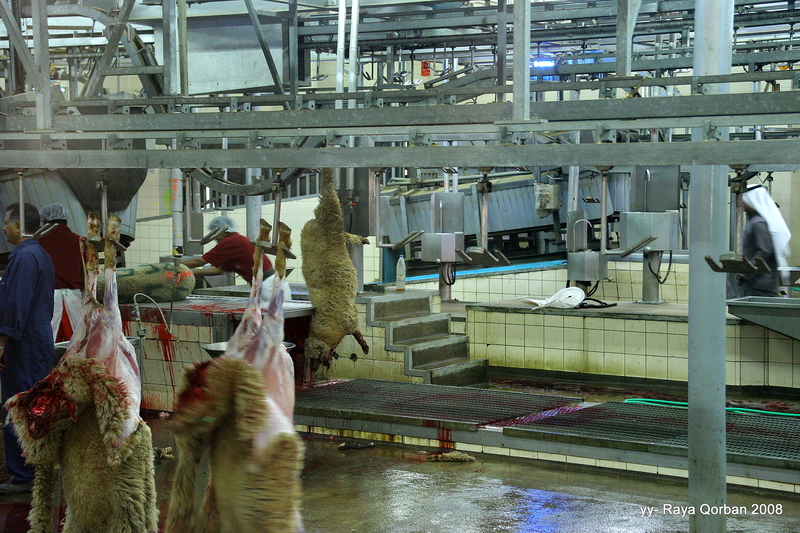 If you choose to do it at the animal slaughter house … first, you need to go and view the animals. After you have viewed and decided, you can now proceed to the payment counter. Once you have paid, they will give you a receipt and a number that you need to keep in order to receive your meat. 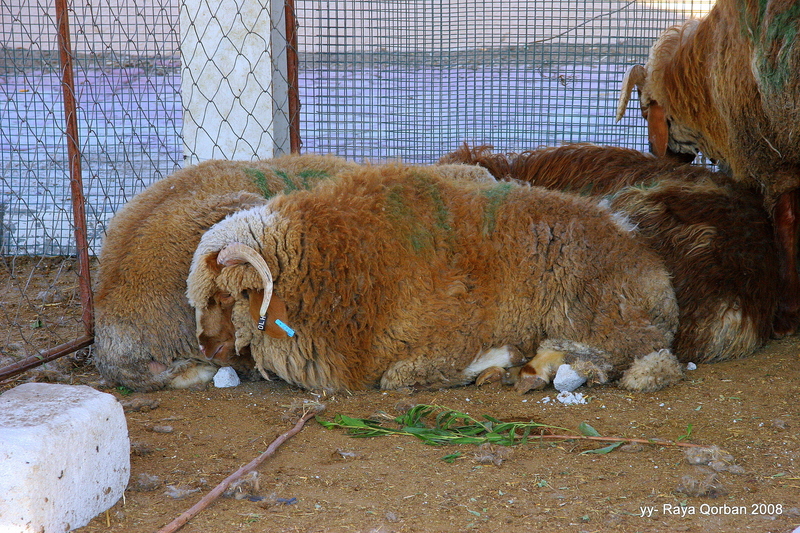 Now you can proceed to choose your animal for the qurban. 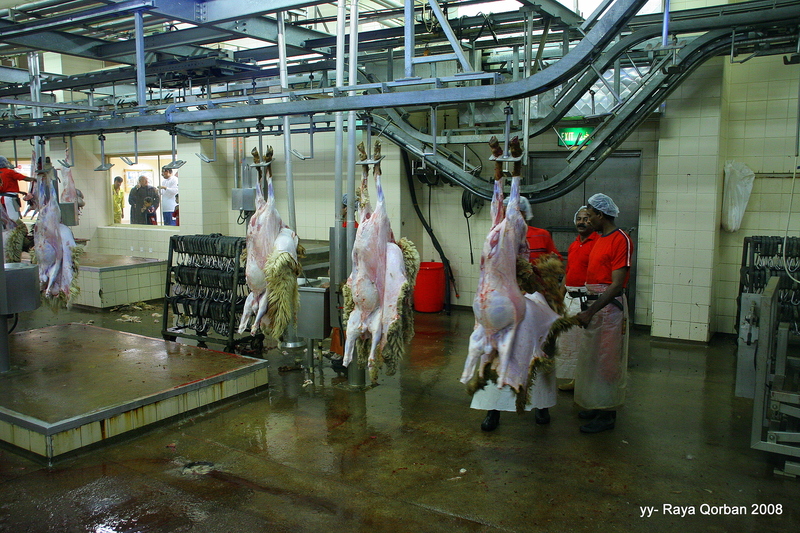 Once you have selected your sheep/goat, they will then bring the animal to the slaughter area, you could view the slaughtering and cleaning process from the observation room. What you have to do next is just wait for your number to be called and receive your meat. 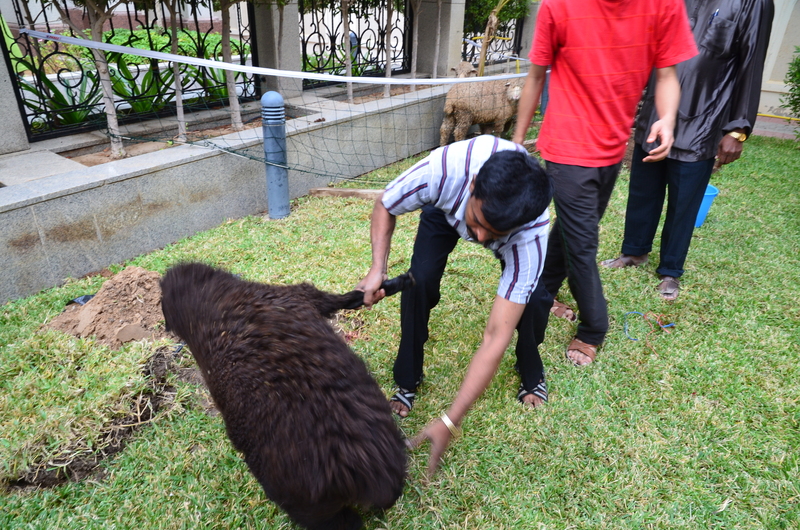 For the past 3 years, we did our qurban at the slaughter house, but this year we did our qurban at the Malaysian Embassy and alhamdulillah, it went very well. 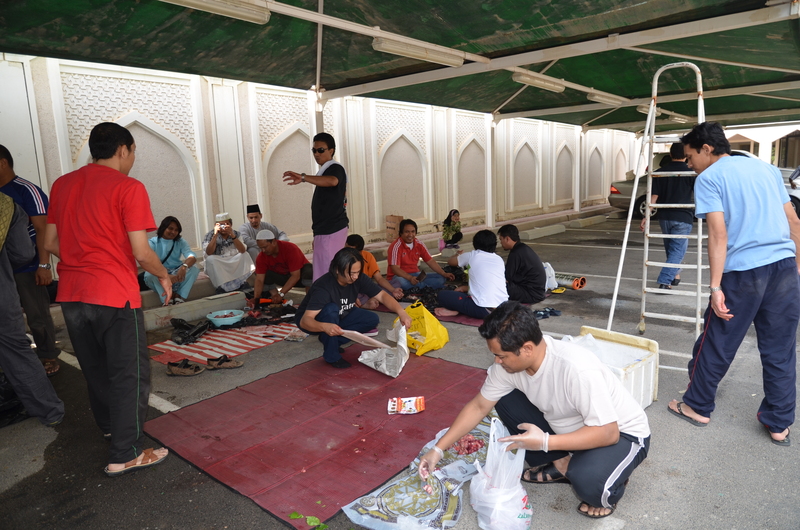 It was nice to see semua orang bergotong royong menjayakan program qurban ini. 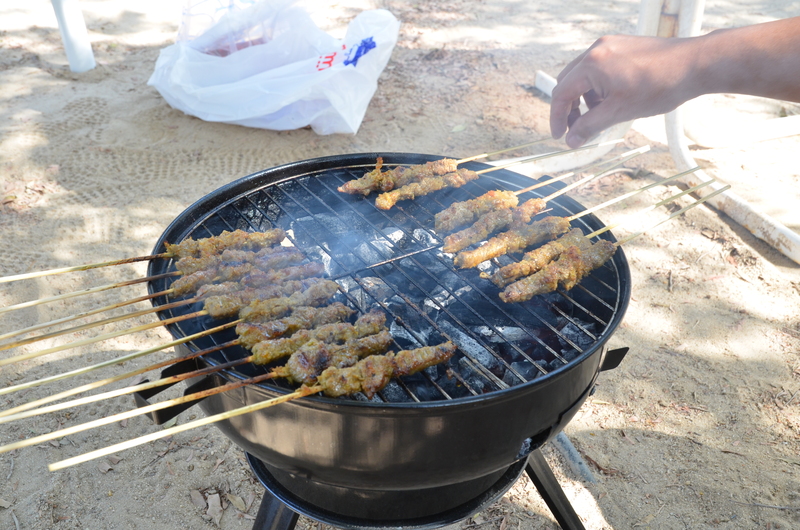 Schools and government offices were closed for a week for eid, so we took the opportunity to go for a picnic with few friends at the Green Island. The weather was fantastic. 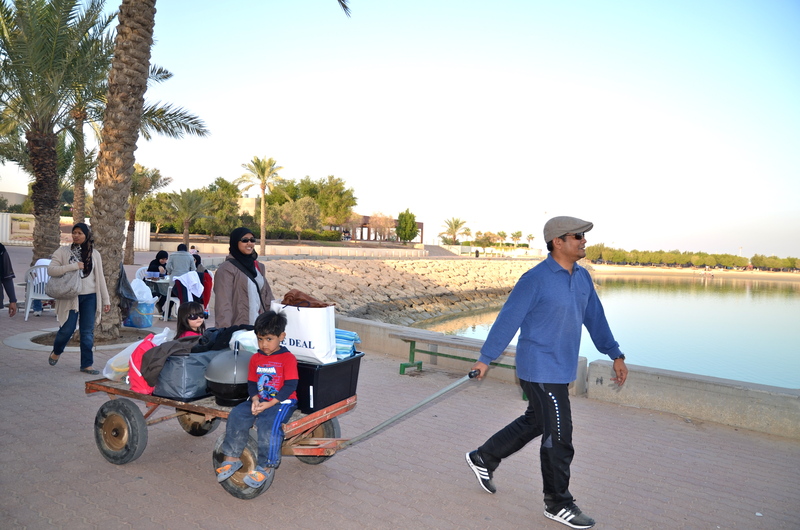 We left the Green Island after azar.... had a wonderful day! 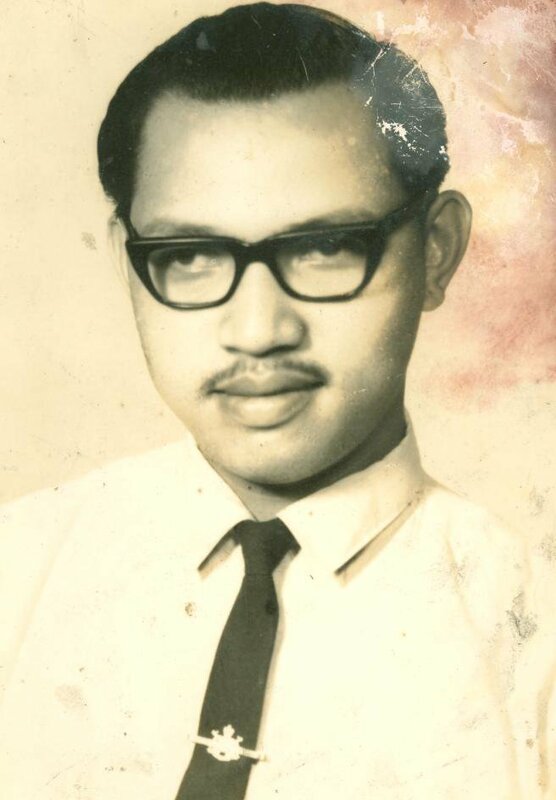 On 9 DzulHijjah 1418(5 April 1998), my beloved father kembali ke rahmatullah. That year my husband and I actually did not plan to go back for Eid Adha because at that time Nurin just turned 3 months, too small to traveled, furthermore, I just got back to KL and start working after 2 months of confinement in Kelantan, but somehow or another, at the very last minute we decided to go back. We traveled back to Kelantan 2 days before the Eid and as usual, the traffic was bad, we arrived at my in law’s house in Kuala Krai rather late that night and we decided to rest for the night and balik rumah my parents the next day because I wanted to spend first raya at my parent’s house. Unfortunately, before kita orang sempat sahur the following morning, my sister called and told me that my father just collapsed, so we rushed home. 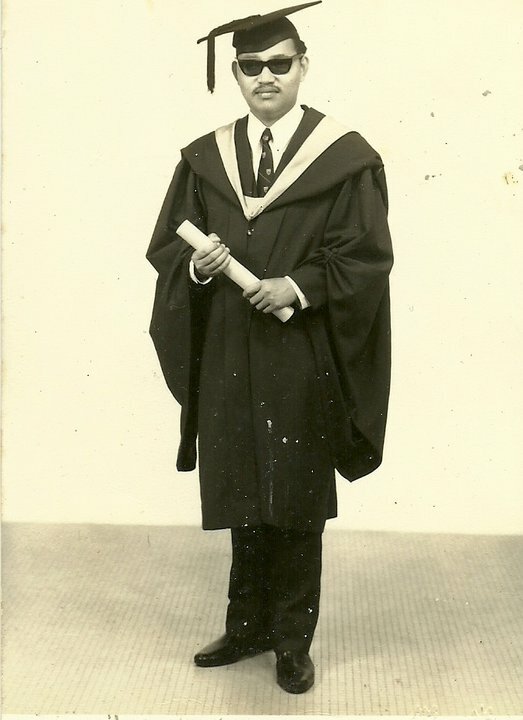 Half way through the journey, my mum called and told me that my father just passed away…. I cant describe how much it hurts hearing those words from my mum but there was nothing I could do to bring him back. Up to now, there are times when thinking about it, I wish that I had traveled home earlier that week and may be… and just may be I could have the opportunity to see him alive one last time… but as Muslims, we have to believe that things happened for a reason… you just have to redha dengan ketentuan Allah. Ba… you are always in my prayers and semoga rohmu berada disamping orang2 yang beriman. We miss you so much. Eid Mubarak to everyone from us in Kuwait, we hope that you will have a beautiful Eid with your families. 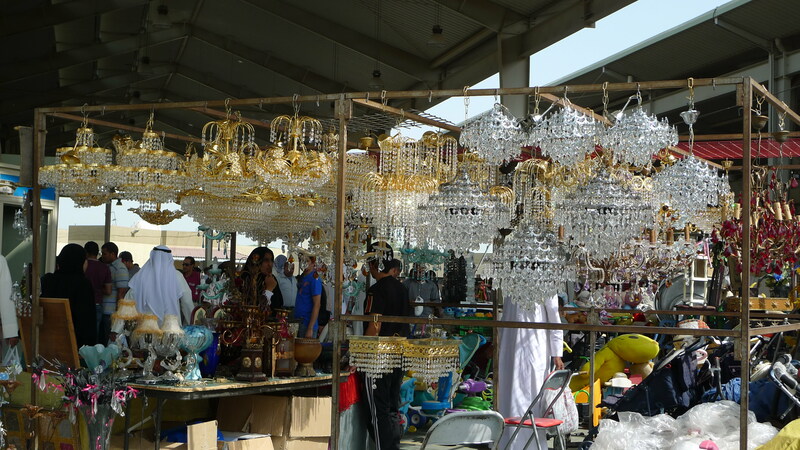 Friday Market / Kuwait Flea Market is ranked as #17 of 68 things to do in Kuwait by Lonely Planet travelers. 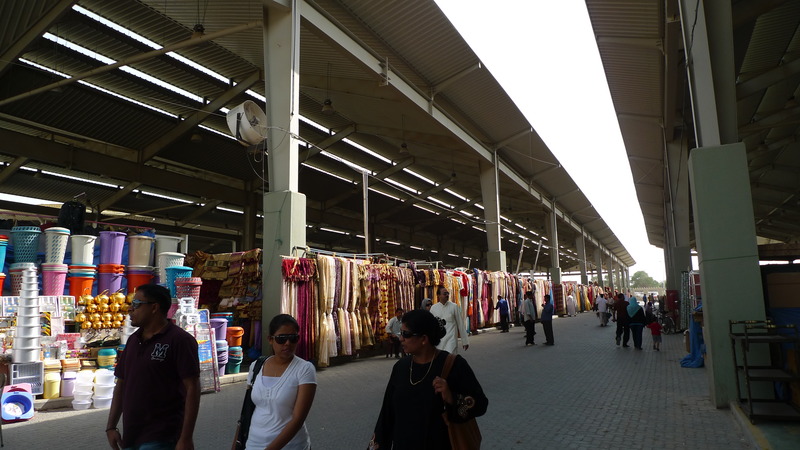 Friday market opens from Thursday afternoon until Saturday evening. You will find almost anything you can imagine in this place !! Literally anything…. from carpets, clothes, jewelery, antiques and shoes, to food items, pottery and plants, animals, furnitures and don’t be surprise if you see they are selling “used deodorant” … and from the looks of it the deodorant has passed their expiry date which was like few years back he he he. 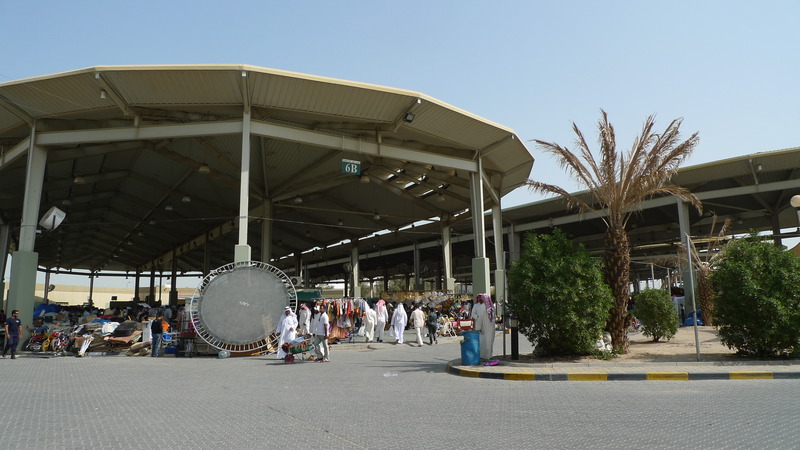 Your visit to Kuwait would not be complete without visiting Friday Market. 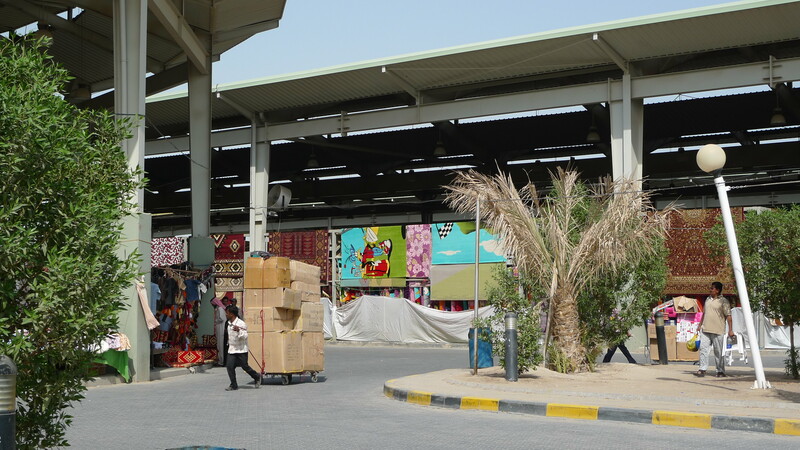 If you are planning to visit Friday market, be sure to put on your most comfortable shoes and be prepared to walk the whole length of the market to explore all the goods and get a proper feel of the atmosphere. 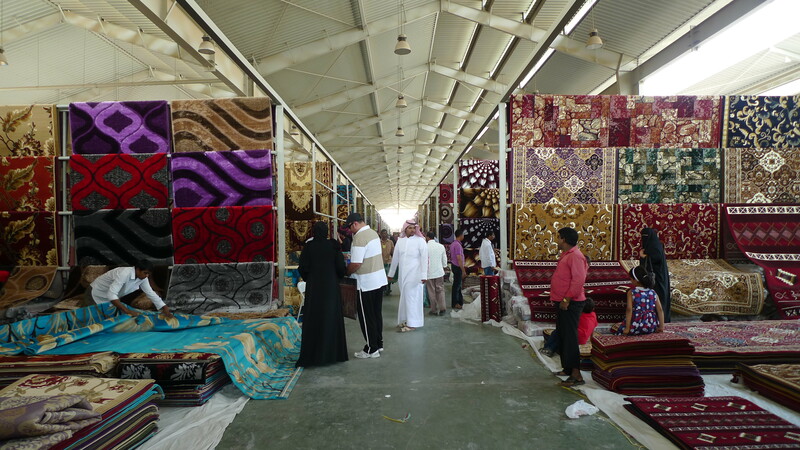 For Malaysian in Kuwait, Friday Market is the synonyms used for carpet. 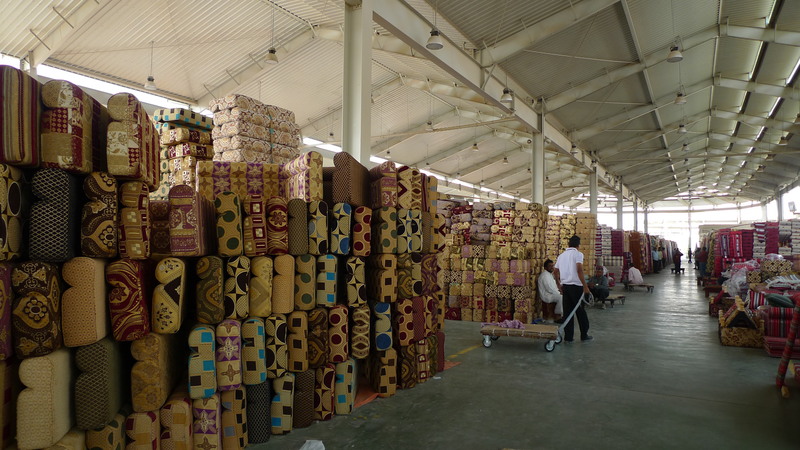 Whenever we have visitors from Malaysia, we will definitely bring them here and for sure they will go crazy about the carpets. There are lots of design to choose from and the prices are definitely cheaper than Malaysia… well, at least that’s what I’ve been told. 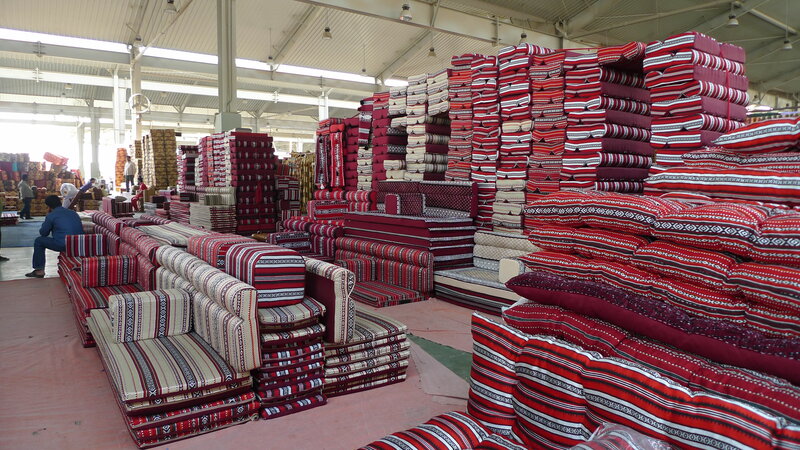 Floor cushions are very popular in Kuwait, the prices are varies depending on the quality of the material used. 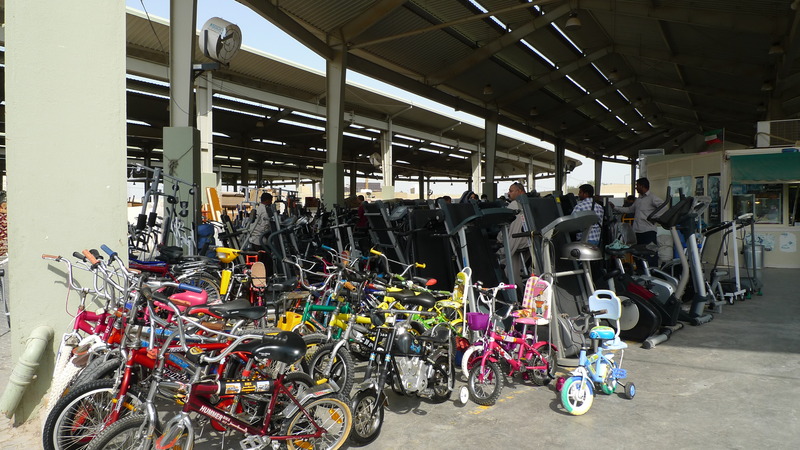 Friday Market also offers you a variety of secondhand items such as TV, furniture, bicycles, electrical goods and lots more. You can also get new and secondhand curtain here. 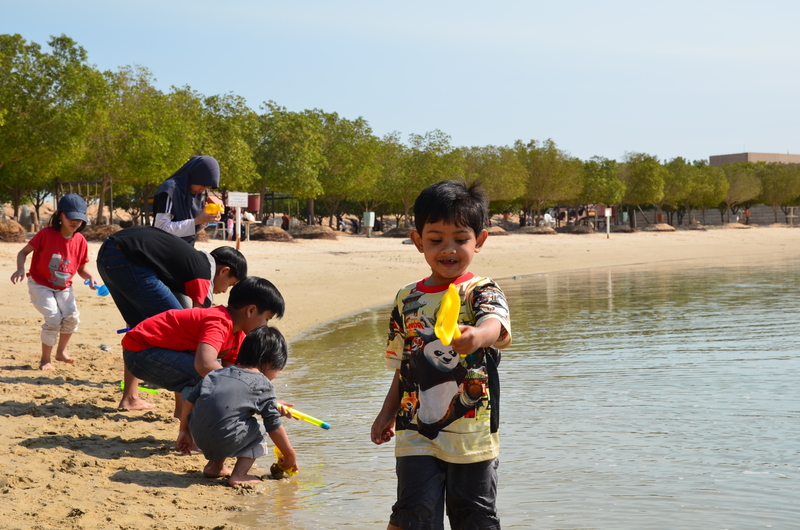 So, apa lagi…. jom gi Friday Market!